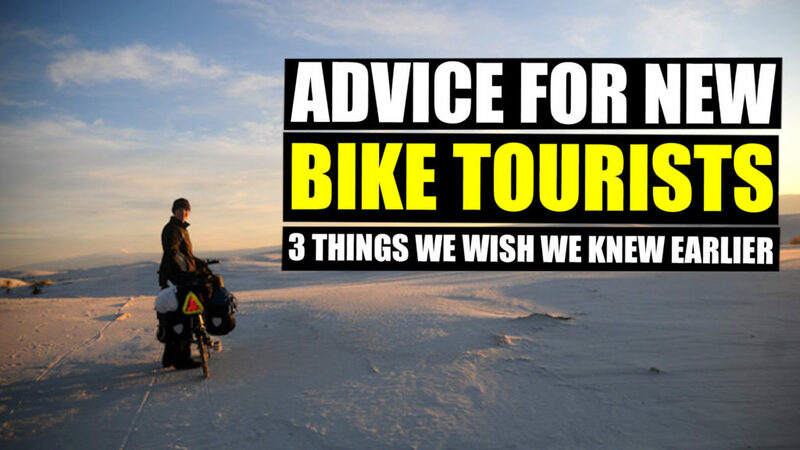 What were the three words of advice we would have wanted when we first started bike touring? What have we learned over the years? In this vid, we share some lessons we wish we knew when we first started. Love the message here. Thanks guys! Imma go do a S24o tonight just ‘cause of this. Great video. Thanks. Definitely inspiring. You really punctuated the idea of not getting any younger. Having just turned 40 last year I’ve been seeing some things differently and looking to try some bikepacking overnights. I was curious why you made such an effort to highlight the age point? I’m hoping to relate more, or obtain more motivation. Thanks again for the video. Well, mostly because it’s true. None of us are getting any younger 🙂 We were fortunate to do lots of bike traveling in our early 30s. Some people wait too long when their bodies no longer function like they should before venturing out the door. Hey! My first bike tour was last August, 5 hours commute from home to a national park. They provided the camping gear (ready-to-camp type of accomodation) so I basically only needed bring my clothes, some food and my own sleeping bag. Didn’t need to own a tent that is small enough to fit on my tiny bike so it was nice to test it all out. Figured out I should bring two water bottles and not one. Didn’t drink enough (it was 30 degrees outside) and spent the night with LOTS of muscle cramps haha! Lesson learned. Second ride was a shorter commute (3 hours ride) to a more traditionnal camping site, but this time I carried my whole gear. I had energy and time left to cycle around after setting up camp which was nice. Next year I’d like to do a 2-3 nights at different camp spots. 🙂 Slowly but surely! And this was done on tiny folding bikes. Guess anything works! !